Are you seeking to deepen your spiritual life with true companions who enrich each other on their journey? Do you long to share the fruits of such a relationship to promote justice in our world and Church? As Dominican Associates of Sinsinawa we are living that dream. Who are we? We are baptized women and men who feel called by God to share in the life and charism of the Dominican Sisters of Sinsinawa. We identify with their mission, to proclaim the Gospel through the ministry of preaching and teaching, in order to participate in the building of a holy and just Church and society. We partner with one another to witness to the Gospel in our work and in our lives. 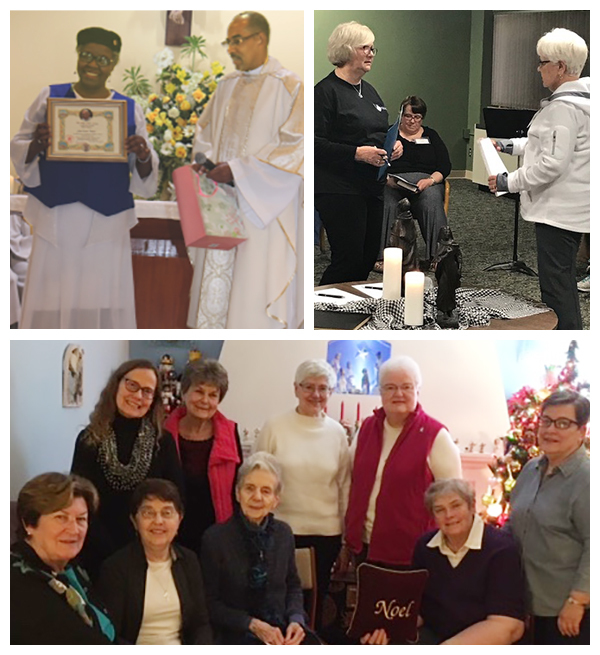 We support our desire to share in the charism of the Dominican Sisters of Sinsinawa by living the four Dominican “pillars” of prayer, study, ministry, and community. As Associates, we incorporate these four pillars in our life and in our work. 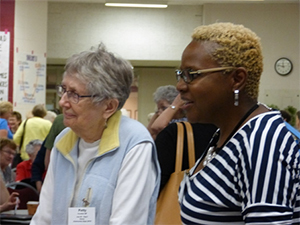 Together, we participate in local prayer groups with other Associates and Sisters; are involved in the study of Dominican life and mission; serve as members of boards, committees, and task forces at Dominican institutions; support the ministries of other Associates; respond to the needs of Sisters and Associates in local areas; and participate in social justice efforts. The associate journey begins with a relationship with a Sister, Associate or the Congregation, because at the heart of ministry is relationship. Then we begin the exploratory process of prayer, study, and participation in community experiences. During this time of discernment, there are many opportunities to become familiar with the history and mission of the Dominican Sisters of Sinsinawa, such as conversing with Sinsinawa Dominicans about their life and mission; visiting the Sisters’ motherhouse, Sinsinawa Mound; learning about Father Samuel Mazzuchelli (Founder of the Sinsinawa Dominican Sisters), St. Dominic, St. Catherine, and other worldwide members of the Dominican Family; and developing relationships with Sisters and Associates during your journey. If you share our quest and are ready to learn more, we invite you to begin your journey of exploration with us.